Hubba hubba! This gorgeous guy has dapples for days. He truly radiates from the fabulous care his connections provide. Bob E (how cool is that name) is very loved and pampered. 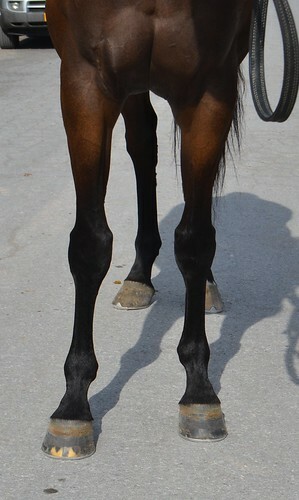 His connections are well known for providing fabulous care and being open and honest about their horses in order to find them the most appropriate homes. When you buy a horse from them, you know you will be getting a horse that has been properly managed and handled. His connections will require references and would want updates on how Bob E is doing. 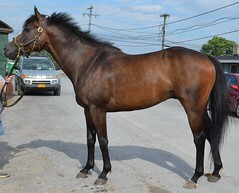 He has earned over $89,000 in 70 starts with 7 wins, 9 seconds, and 12 thirds. 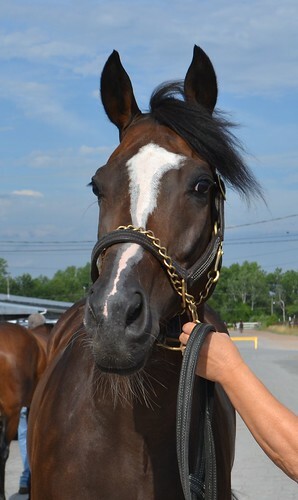 Bob E’s connections report that he is just not showing interest in racing anymore. They report he has always been very sweet and intelligent. They report that he “isn’t a dead head” but is never naughty and is very sensible. She said he is good to ride and care for and has no stall vices. His trainer also reported Bob E is retiring sound and clean legged. He was very well behaved during our photo and video shoot. Our volunteers got the impression that he would be a really fun project. He just seemed to have a cool personality! He is at the perfect age for retraining-past the age of silliness and ready to get down to business. 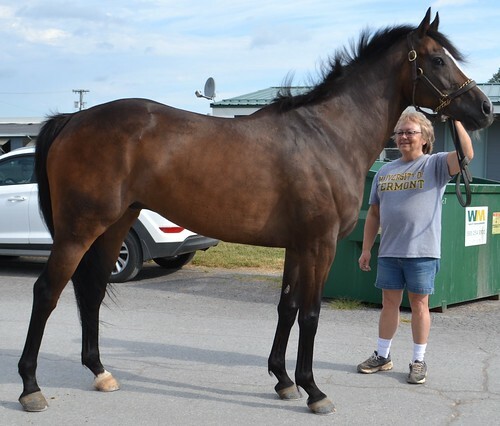 His trainer reports that he is good for just about everything including vet, farrier, swimming, ponying, and that he turns out well with others. All these things will surely help ease his transition into his second career! He is by Patriot Act out of a Honour and Glory mare.